OTG Involvement: Played at OTGAFC from age 19, retired in 2018. Played for 12 years, captained for 7. How’d you end up at Trinity? I was actually lucky enough to get a very small scholarship there. I was signed up to De La Salle, and it was a really last-minute thing that came up in the holidays. I went in to Trinity for a couple of interviews, and luckily enough, I got it. It was just a General Excellence scholarship – I was a bit more involved with the sporting side of things. What sort of a kid were you at school? Academically, not awesome, but I was heavily involved with everything I could do. Things like House sports or House Music, and anything to do with the co-curricular side of things. As a student, I was ok at best, I gave it a fair crack – but I more enjoyed just generally being around everyone at the school. I didn’t have many days off, I was always happy to go to school and loved it. I loved being around the people. What do you reckon was the most valuable thing you got out of your time at school? It’s funny, actually, because I’m now a plumber – you don’t really put that together with the sort of private school thing, but I’d never change anything about it. My time at Trinity taught me a lot – it was always really big on relationships and just communicating with people. That was the biggest thing, I think – it’s put me in a good spot, with being a tradesman but also being able to have that common courtesy, respect for people and just general communication. That was probably the biggest thing I got from school, and from the Old Boys and the footy club. How’d you get to where you are now? It was pretty easy, because Dad’s a plumber. I finished school, and school wasn’t very exciting, but I was always pretty handy with anything to with my hands, so it was a pretty seamless transition into that. I worked for him for 10 or 12 years, and only recently once I’d finished my footy career, I decided to go out on my own. I mean, my footy career was awesome and I loved it, but it takes a lot of time and effort to be a small business, and I couldn’t risk any of that injury. But yeah, I was pretty much straight out of school and into that. Oh, a very, very short period – so I’ve only just gone out on my own in the last few months, so it’s really new. I’ve been working for my old man for about 12 years, and then decided it was time to go on my own, so I recently did that. I’ve even got guys like Luke Pacconi to do my branding and stuff, people through Trinity. 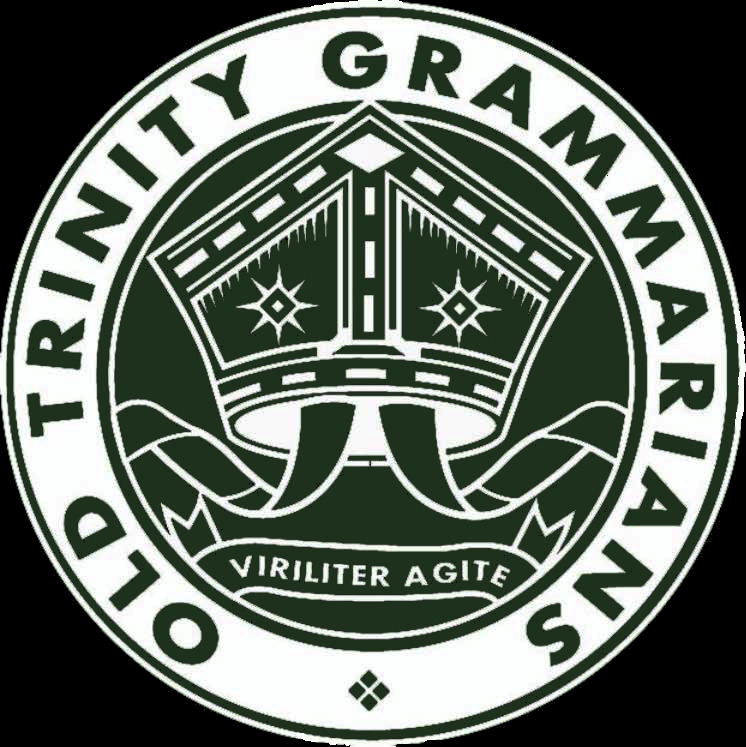 How long did you play at Old Trinity? I played there for twelve years. My first year out of school I played at Port Melbourne in the VFL, and I was very mediocre there, the pathway wasn’t as seamless as it is now. I didn’t love it there, and all my mates seemed to make their way over to Old Trinity. When they were there, I’d be playing a bit of 2’s footy in the VFL, and as soon as the game was finished, I’d get in my car and jump on the freeway to go watch the 19’s the same day. From there, I just loved every bit of it, so I pretty much played for Old Trinity from then on. How has your time at the Old Boys affected you? It’s been a massive part of my life. It’s taken up heaps of my time, and I’ve loved every minute of it. I was lucky enough to be captain for 7 years. I was young guy, 18 or 19, when I came in, and I’m leaving at 31. You’ve got your relationships with people who are 18-year-olds straight out of school through to, you know, I’m meeting up with a guy tomorrow, Andrew Ramsden, who’s 43. The relationships you build through those times, they’re probably the biggest things I’ve gotten out of it – they’re lifelong friends. You sort of forget about the age gap once you’re at a footy club, you’re just another person. You all have a goal to hit that ultimate prize, and you all work towards it to hit that goal together. What was it like being the captain of the club? How’d you handle the responsibility and the pressure? It was a huge honour. I probably got thrown into the deep end a bit in the early days, I probably hadn’t developed enough – as the years went on, I developed into a better captain. It’s not only an honour, but actually a huge task as well. You’re dealing with blokes straight out of school, not knowing what they want to do, through to people in the workforce. Getting a whole bunch of people together and having them all focus on one thing is tricky – it’s a great mix between keeping fit, training, and wanting to win, as well as having a beer and really enjoying yourself outside of it. One of the biggest things for me was when I retired, and having numerous mums actually coming up to me and thanking me for the influence I’ve had on their kids. That’s one of the greater things I’ve had in my career. You mentioned that you were maybe thrown in the deep end a bit, but then improved as you went on. What changed, and why was that? Just natural progression, and a bit more maturity. Learning from people, and speaking to the right people. As soon as I got into the job there, I did call on the ex-captains and the ex-leaders who had been through the club, and I did talk to them about ways to go about things, but you also learn from making mistakes and getting better. You’ll always make mistakes on the way, but just make sure you learn. There might be a better way to confront someone, or have a word with someone – whether it’s positive or negative, there’ll be different ways to go about it. Also, people are different – you have to adjust to them. Some people might need tough love, some people might need to be carried along and babysat a bit. So it’s a real tough mix, but it’s an interesting one when you’ve got so many different types of people at the footy club. You mention you might have some 18-year-olds fresh out of school who might feel a bit lost – how do you go about helping those kids? You never tell someone what to do. You just give them something outside of work or Uni. That’s what the footy club’s there for, it’s a really good thing. You might be struggling to think about what you want to do, but the different people you meet at the club might help you figure it out. But the club’s also an outlet – people might be in the office the whole day, or the worksite, and to be able to go out, blow off some steam, keep fit, talk with people and just have a run around is a really important thing. Even just going and sharing a drink with a good mix of people. The club has had some pretty heartbreaking lost Grand Finals recently. How do you deal with that pain? It’s really tough. But it helps to put a bit of perspective on it. When I got to the club, we’d be celebrating even just staying in A-grade. So 10 years down the track, we’re obviously terribly disappointed in losing a couple of Grand Finals, and even the year after we lost the second one, we missed the finals, and think about how disappointed we were. But you put it in perspective, and you see that 10 years prior we were battling relegation – you take a lot of confidence from that, from where the club has been to where we are now, it’s a massive improvement. You take the good with the bad, there’s always a light at the end of the tunnel. And there’s a lot of things out there bigger and better than just footy. So you put it in perspective, and get back into it, work hard, and see what can happen. Ooh, that’s a tricky one. All I can think of is that you get what you put in. It’s been a big thing that I’ve always said at the footy club, and it even goes onto the footy field or into the social scene. If you want to be involved in the club, and you put into the club, you’ll get just as much out of it. You can’t just go along and be another number. Have you had any regrets along the way? A lot of people say, “Oh, I don’t regret anything,”, but there’s always little things along the way. There’s nothing for me that’s been too bad that I completely regret, but I guess personally, and in relation to football, I’ve never done a lot of work on the side apart from training, so my body’s falling apart a bit now. So I guess if I could go back in time with footy, I’d tell myself, “Make sure you do a little bit more on the side, a little bit extra, make sure you look after your body a little bit more, because down the track you might suffer the consequences a little bit.” In terms of school, I’d have no regrets with that, I mean, I loved every minute of it. If I could go back, the only thing would be maybe study a little harder. But I don’t regret that now, I’m happy with where I’m at being a tradesman and owning my own business, so yeah, not too many regrets. I’ll really concentrate on the business, so that’s a really high priority. Recently married too, so got a little house which we’re trying to slightly renovate. Really trying to concentrate on the family at this stage, and clean up the house a bit. Obviously also staying involved, but maybe not heavily, with the footy club, because I’ve always known I’d struggle to watch games of footy instead of being able to impact them. A lot of people have asked if I’d get into coaching, but it’s always been a really stern no from me. It obviously takes up a heap of time and effort, and I also don’t reckon I’d ever have the impact that I’d want to have without being able to show people what to do. So I’ll definitely be staying involved in small capacities, always supporting from the sidelines and going to lunches and business brunch and that sort of thing. And down the track I’ll see if I can help in other little ways, maybe being on the board or a club sponsor or a helping hand at home games – the little things that clubs like ours always need. It takes so many people to run a club, so anything that helps along the way, I’ll do.